This dampness was weird. From middle of the night nowhere. “I’m all sweaty,” I said to Cliff. The same conversations! (Many times.) Maybe husbands feel some sadness when menopause approaches (or they’ve heard enough about it to get a little sweaty with worry). But I knew it was menopause, and it was. Sweet things can happen in the middle of the night. A cat can purr near your pillow. Rain can drum a lullaby. An idea can arrive for a new blog post. And husbands can think of you as forever twenty-one. More about Night Sweats: Everyday Health explains the biology of night sweats. Photo: I often wonder about our menopausal sisters of yesteryear and wish I could hear their stories. 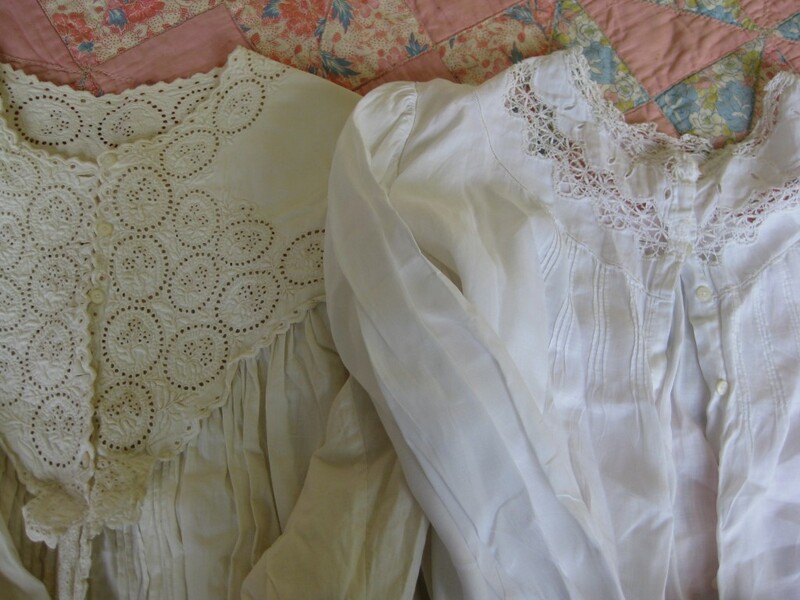 Too bad these vintage nightgowns can’t talk. They might have some night sweaty tales to tell. Read more blog posts by Barbara at Friend for the Ride: Encouraging Words for the Menopause Roller Coaster.